Sanding sugars can be quite expensive for a small amount and the color you need may not be available locally. 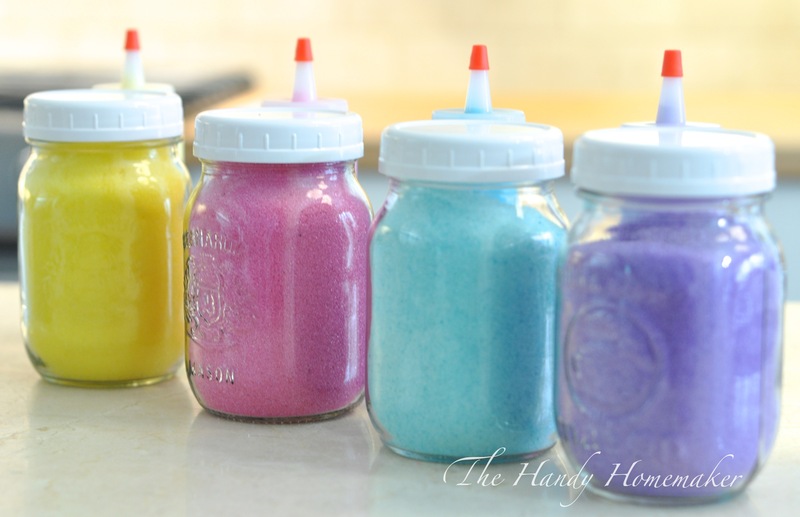 If you ever made cookies with children these little jars of sugar crystals can disappear fast. A little on the icing and plenty to sweep up on the floor 😉 This is a an easy kitchen DIY and a fun one to involve your children. The two options I use in making sanding sugars is by hand in a zippered bag or in the food processor with an egg whip attachment. This method would most likely work in your electric mixer with the whisk attachment on as well however I have not tried it that way. This recipe can be adjusted for smaller amounts. Rub any darker bits of sugar from to dissolve all color into the sugar before using. Place the cover on and pulse the processor until all the color is combined. Place a small funnel into your storage container and pour in the sugar. The sugar will be dry and can be used immediately. 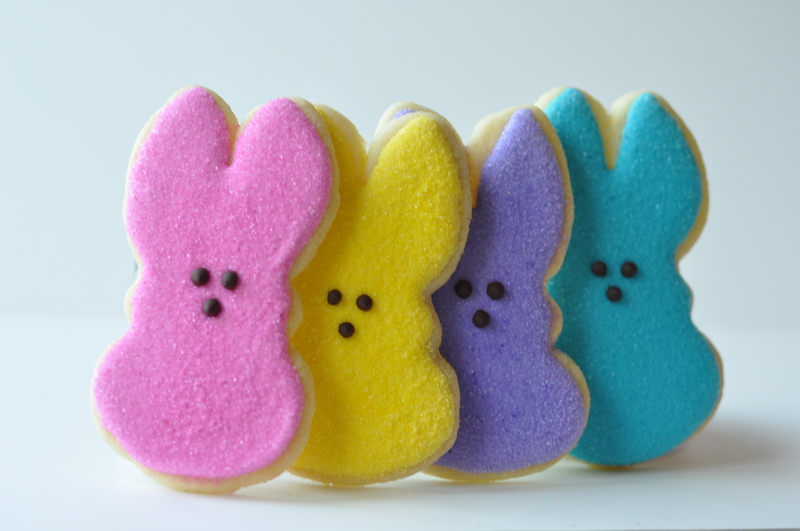 Check out how I used these sanding sugars to make these fun Peep cookies for Easter.